What a win that was, Reds! Every single one of the boys played well against Chelsea, but an insane statistic has come out relating to Trent Alexander-Arnold. The right-back recovered the ball twice as many times as any other player from either team – a total of 16 times! 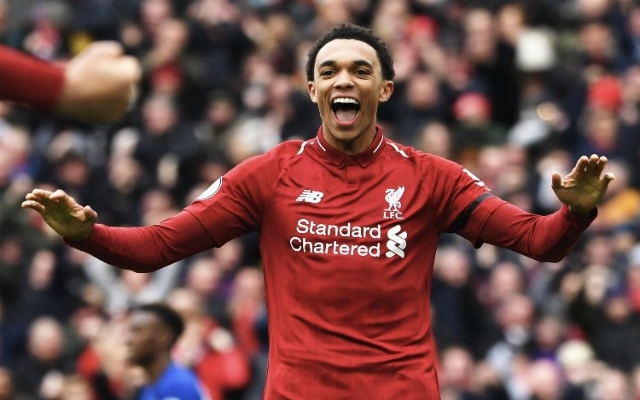 That means, as well as intelligent cross-field balls to switch the play, and venemous crosses and corners, Trent never neglected his key duty of getting possession back for us and forcing Chelsea into errors to do so. The young Englishman put in a massive shift and was one of the main reasons we were able to recycle the ball so often and put the pressure on Chelsea throughout the 90. He put in some vital tackles, intercepted the ball when Chelsea tried to feed the ball to Eden Hazard and Gonzalo Higuain, and was ever-present whenever he needed to be called on as a wide outlet. Trent Alexander-Arnold made 16 ball recoveries vs. Chelsea, twice as many as any other player on the pitch.